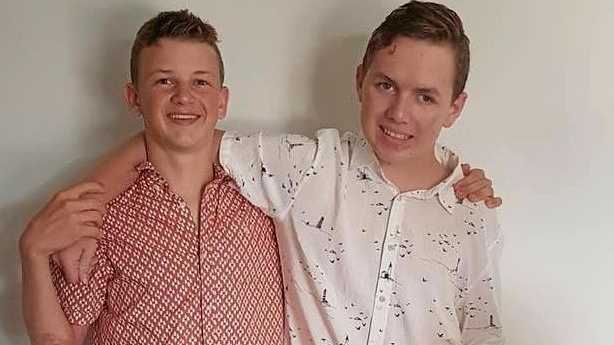 MATES: Joe Steifler and Tristan Sik ready to celebrate their Year 9 graduation more than a year after Tristan's horrific accident at Rainbow Beach. 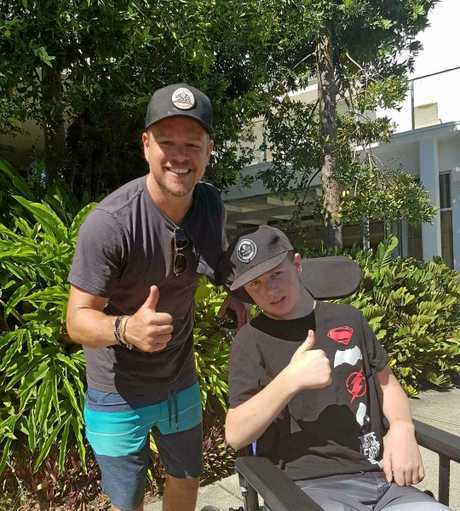 THE miracle might be cliche at Christmas, but there is little doubt it reflects the amazing progress Rainbow Beach teenager Tristan Sik has made since a horrific accident changed his life. 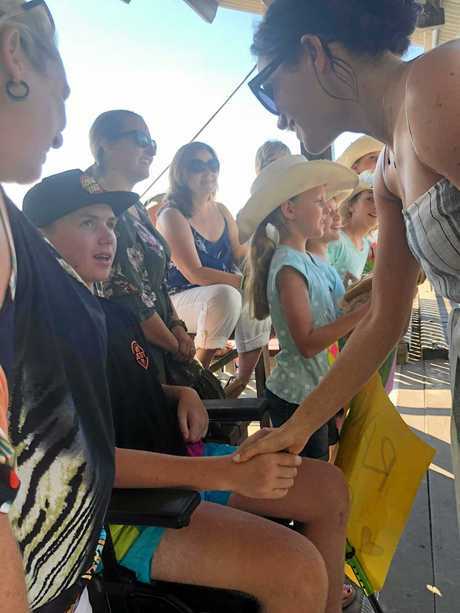 And it is the word chosen by his mother Carolyn Elder, who said the 15-year-old is a "completely different child" to the one who was released from hospital exactly one year ago today. "When he was released, we were celebrating him just being able to roll over," she said. "Now he is almost completely independent around the house." The teenager's life took a tragic turn in July last year when he was seriously hurt when he collided with a car while riding his bike around the town. He suffered a broken collarbone, pelvis and lower left leg, fractures to his skull and right eye and bleeding and pressure on the brain. What followed was almost six months of heartbreak for the family, with no real idea of what kind of recovery he would have. "We were told it would take two years to be able to say yes and no," Ms Elder said. 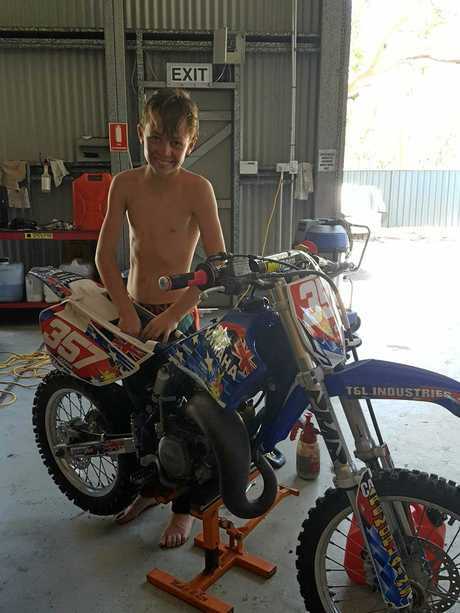 Now he is looking forward to Christmas and spending times with his mates, including his best friend Joe Steifler, who was always asking to "hang with Trist for the day". "We've been really lucky that Tristan has made such good choices in friends." She was also grateful to Victory College for their help over the past year in giving Tristan as normal a life as possible. And Ms Elder said he has met those teenage expectations in spades. "He absolutely lets us know when he's not happy with something," she said. With the big holiday on the horizon, Ms Elder said Tristan had made his wishes known. "He really wants another motorbike," she said. 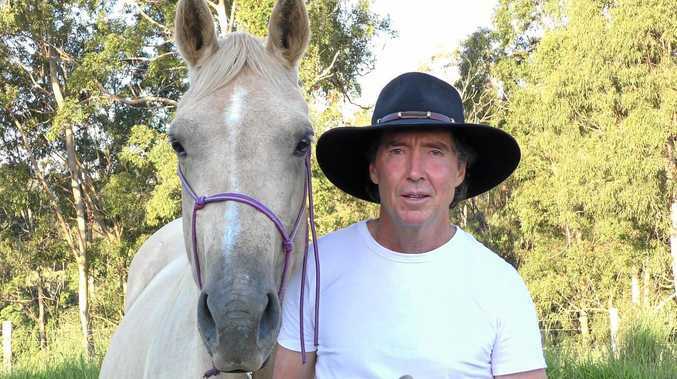 "I've told him he has his old one to learn to ride again." And when he does eventually jump back on the bike? "Maybe I should wrap him up in bubble wrap and cotton wool," Ms Elder said. Also on the list, and much more likely, was an iPhone. Not that his sights were set solely on Christmas, though. Originally keen to enter the Army before his accident Tristan is now looking at a career as an electrician. She said no one knows how far his recovery will go - but already it is light years beyond what they were told to expect. And among it all he has not lost his sense of whimsy. "He has the funniest sense or humour and cracks the best one-liners. "He laughs a himself, although it's not politically correct," she said. As to what comes next, it was a case of "pushing forward to the next week and the next". It is a plan which has so far smashed any and all expectations into oblivion. "If where he's at today is as far as he gets it's still 1000 per cent better than where we were told he would be," Ms Elder said.